Good evening, I have been busy today and have two new cards to add here tonight. 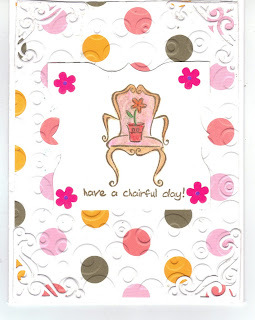 background embossed with circle cuttlebug folder,corners cut with cuttlebug die, stamp is a StampinUp set. Thanks for visiting and please leave a comment, if you will. What a cute saying! 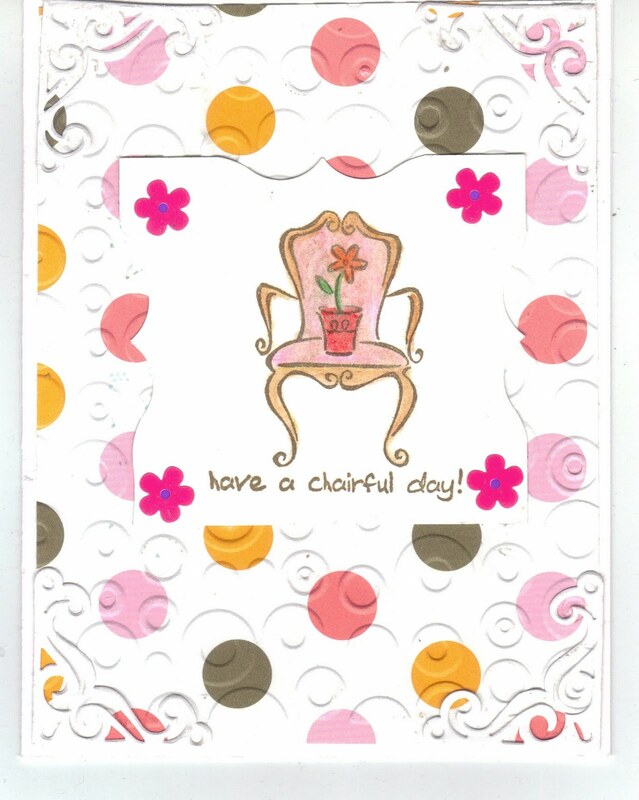 Love that chair!